Which muscles work the most during the squat? According to the researchers from the Scottish Institute of sport, who have pooled studies on muscle building during the squat, widening the squat stance increases the activation of gluteus maximus. The squat is an important exercise for both bodybuilders and weightlifters. When in the bottom position, your muscles get the biggest load. Also, the more load (weight) you lift the more your gluteus gets activated. Wearing weight belts affect the muscle activity during squatting. On the other hand if you squat on an unstable surface your core muscles activation will increase but the maximum force production during the lift will decrease. Doing squats using free bars activate the gluteus and quads better than Smith Machine squats, leg press or leg extension device (machine). The muscles are pushed very hard during the positive or push phase of the lift. In order to fully activate the quads and gluteus, athletes should lower themselves to or below parallel. 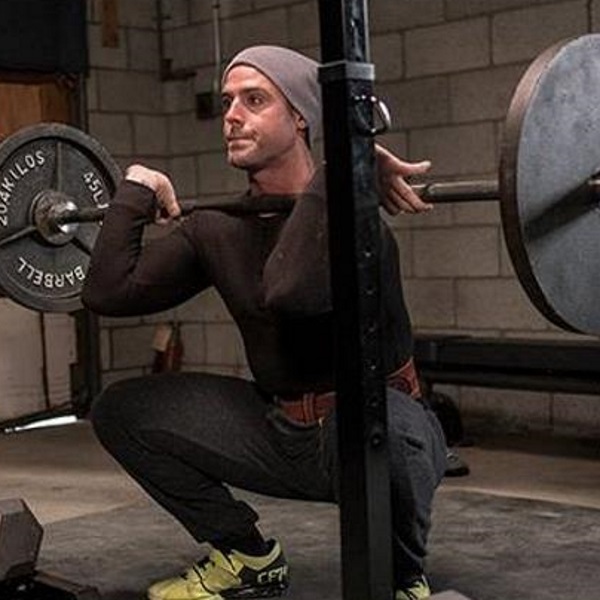 The squat is one of the most popular exercises among bodybuilders and power athletes. People involved in bodybuilding like physicians, coaches, therapists and kinesiologists (biomechanists) can’t agree totally about the risks and gains of deep squatting. According to a research from 1961 conducted by Klein, competitive weightlifters had ligament laxity which is not the case with the average person. As a reaction to this research many coaches and the U.S. military excluded deep squatting from the regular training. New studies have shown that male power athletes and weightlifters who frequently practice deep squatting have tighter knee joint capsules. More evidence demonstrates that deep squatting increases the pressure on the kneecap, menisci and posterior cruciate ligament. A recent study by Eric Drinkwater and his collaborates from Australia shows that athletes in various sports like football or track and field should do partial squats (knees bent 120 degrees) using heavy loads. If a person or is interested in increasing lower body mass he or she should do squats to parallel because they increase the total workload on the legs and thigh muscles. Many coaches, personal trainers and sports scientists favor unilateral exercises like single leg squats, because they are more effective in a way that a large muscle group is overloaded. A recent study from George Mason University and the U.S. Army shows that doing single leg squats initiate greater muscle overload while using less weight than regular squats. According to Australian researchers, high volume weight training decreases the maximum breathing pressure by around 14%. They measured the effect of a high volume (5 sets of 10 reps in 4 exercises) or low volume (2 sets of 10 reps) on highest respiratory power during inhaling and exhaling. The high volume workout increased the pressure on the breathing muscles and contrary, low volume weight training had no effect on the lung muscle function. Many different sports require many different routines. Your training program should be modeled according to your ambition. Strength training can improve joint stabilization, muscle hypertrophy, muscle strength and explosive strength. There are various exercises in achieving these goals. Joint stabilization exercises build fitness in muscles that support the spine and joints in the upper and lower body. Maximum strength exercises use more weight and fewer repetitions in order to boost strength and power. Explosive strength requires quick activation of the muscles like explosive lifting at maximum intensity. Plyometrics, or jump training, are exercises in which muscles exert maximum force in short intervals of time, with a goal of increasing the strength.